Girls on the Run North GA’s registration for the spring season is now open. Girls on the Run is a physical activity-based, positive youth development program that inspires girls in 3rd through 8th grade to be joyful, healthy and confident. The volunteer-led program brings together groups of 8-20 girls for a ten-week program that encourages personal development, team building and connection to the community. 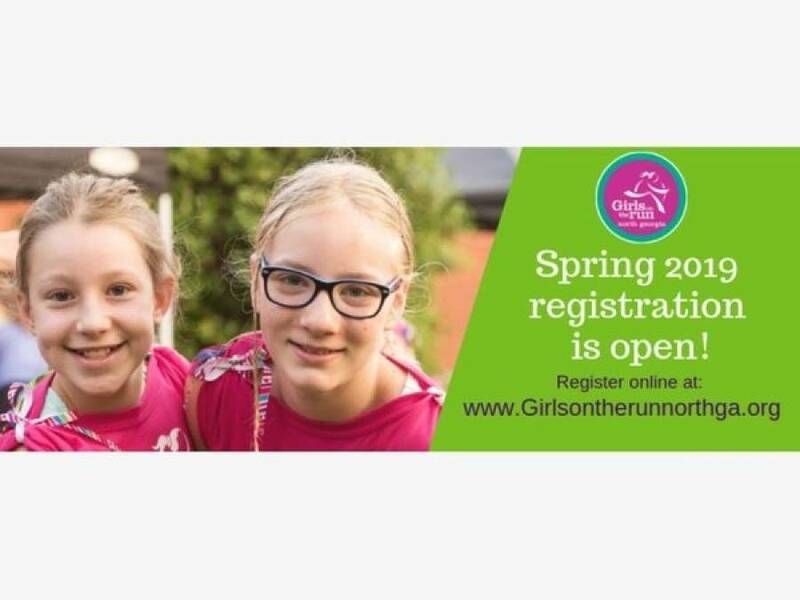 “Girls on the Run is dedicated to creating a world where every girl knows and activates her limitless potential and is free to boldly pursue her dreams.” said Cathie Brugnoli, executive director and founder of Girls on the Run North GA.
Brugnoli said GOTR is a "mentoring group disguised as a running club." “We focus on building confidence and self-esteem by working towards running,walking, skipping or hopping a celebratory 5K,” she said. Girls on the Run North GA has inspired girls in the Forsyth County area for 26 seasons and has impacted the lives of 8,000 girls and volunteer mentor coaches. This season, Girls on the Run will be offered at most Forsyth County Elementary Schools and Forsyth County Parks. Each team will meet two times a week for 75 minutes either before or after school and participate in research-based lessons that use dynamic discussions and fun running games to teach life skills. The season will culminate in a 5k event that brings together family, friends and community members to celebrate the girls’ growth throughout the season.